The Stiffy Heavy Duty Cleaning Brush is great for powerful cleaning on fabric, upholstery, trim pieces, tires, fender liners, and more. The stiff synthetic bristles easily scrub, agitate, and clean tough dirt, stains, and oils from interior and exterior surfaces. The handle is contoured to the human hand for comfortable ergonomics, powerful cleaning, and low fatigue with extended scrubbing. Easily scrub away dirt, grime, oil, stains, and more. Clean and scrub fabric, upholstery, carpet, plastic trim, rubber tires, and more. The abrasion-resistant handle is cast from durable plastic to last for years of rugged detailing use. 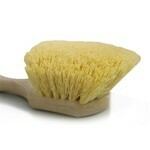 Use the Stiffy Heavy Duty Cleaning Brush to clean durable materials when they get very dirty and stained. Automobiles are made with a dizzying array of materials with differing textures, finishes, and cleaning requirements. The Chemical Guys Stiffy Heavy Duty Cleaning Brush is the perfect tool for scrubbing carpets, floor mats, cloth upholstery, tires, textured plastic trim, fender liners, truck beds, and more. The fully synthetic brush is tough on dirt and grime, yet gentle on fabric, plastic, and rubber. The durable plastic handle is scratch and abrasion resistant, and will not damage finishes if accidentally rubbed on the surface. 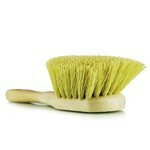 The stiff yellow bristles gently scrub and lift dirt and grime from plastic, fabric, and rubber for a deep-clean luster. Easily scrub and agitate set-in stains and dirt from carpet or rubber floor mats, or clean tires for a superior bond from premium tire shine dressings. Pair the Stiffy Heavy Duty Cleaning Brush with premium Chemical Guys products to clean plastic trim or remove stains from carpet and upholstery. Choose the Chemical Guys Stiffy Heavy Duty Cleaning Brush for powerful scrubbing and cleaning for interior and exterior detailing tasks. 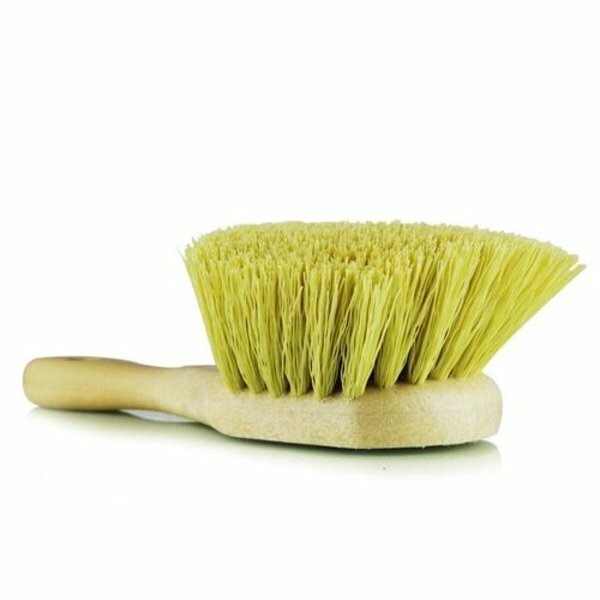 The Stiffy Heavy Duty Cleaning Brush is the perfect brush for cleaning interior and exterior fabric, plastic, and rubber surfaces. Scrub dirt, grease, and set in stains from fabric seats, carpets, and floor mats with the Stiffy Heavy Duty Cleaning Brush. Scrub tire sidewalls to release old tire shine dressing, brake dust, dirt, grease, and grime from the surface. 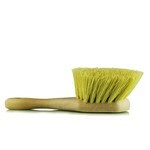 The stiff and durable bristles easily scrub filth from deep within fabric piles and porous plastics. 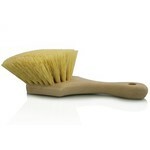 Stiffy Heavy Duty Cleaning Brush removes caked-on dirt and grime to restore a like-new appearance. Clean dirt, mud, and dust from lower rocker panels without fear of scratching textured plastic trim panels. Clean dust, dirt, and oil from engine components like valve covers, air intake boxes, battery covers, radiator covers, and various hoses found all around engine bays and compartments. For heavy duty cleaning on even the filthiest fabrics, rubbers, and plastics, use the new Chemical Guys Stiffy Heavy Duty Cleaning Brush. Chemical Guys brushes and accessories are made from the highest quality materials, and with the most advanced manufacturing techniques. 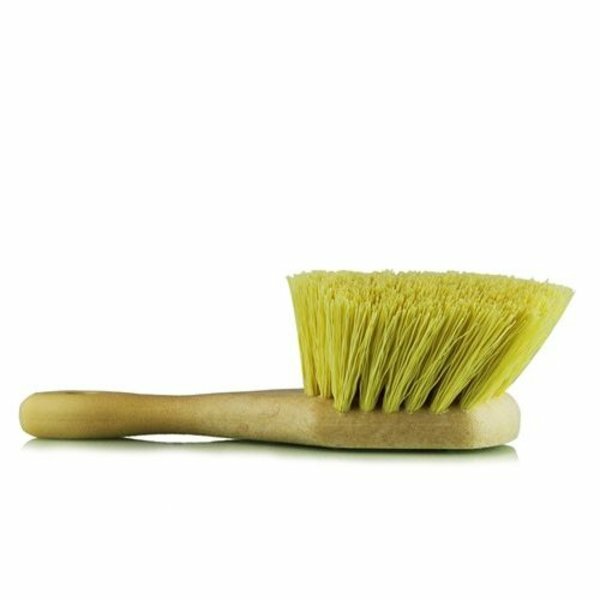 The Stiffy Heavy Duty Cleaning Brush is made with durable synthetic bristles for tough scrubbing that doesn 't harm sensitive fabrics. The synthetic bristles are bunched together into tight bundles, then firmly anchored down into the rugged plastic handle. The brush handle and bristles are chemical resistant, and stand up to years of use with all types of cleaners and degreasers. The abrasion-resistant handle is injection-molded from durable plastic that is practically indestructible. Choose the Stiffy Heavy Duty Cleaning Brush for years of rugged scrubbing on filthy carpets, seats, tires, plastic trim panels, and more. How To Use:For best results, avoid paintwork, sensitive optical plastics, and polished metal surfaces; only clean durable textured plastic, rubber, and fabric materials with the Stiffy Heavy Duty Cleaning Brush. Use the Stiffy Heavy Duty Cleaning Brush with premium Chemical Guys detailing products, such as NONSENSE All Purpose Cleaner, Lightning Fast Stain Extractor, or Signature Series Orange Degreaser.